12" h x 10.5"w x 3"breadth. This leather bag features minimalist seam detail, zip-top fastening and lots of storage space. The Long Acre collection is effortlessly stylish, with luxurious leather and simple styling. 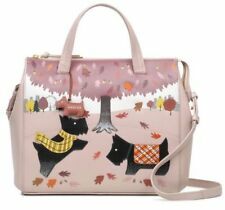 It is limited edition, a rare chance to get one of this beautiful Radley bags, they are not sold anymore! 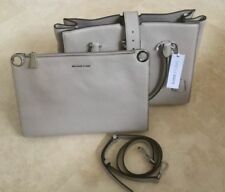 New listingRADLEY SEYMOUR BEIGE GREY LEATHER HANDBAG SHOULDER TOTE BAG RRP £169 NEW!!! RADLEY SEYMOUR BEIGE GREY LEATHER. Crafted from textured leather the Seymour shoulder bag is a stylish design from Radley and is great choice for all occasions. 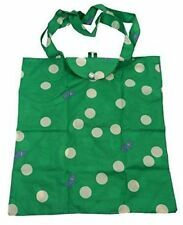 HANDBAG SHOULDER TOTE BAG RRP £169 NEW! This colourful leather "Pembroke" large tote bag from Radley London is perfect for the new season. In addition there is an outer slip pocket with magnetic snap fastening for extra storage. RADLEY LONDON STRIPED GREY MULTI "PEMBROKE" LARGE SHOULDER TOTE BAG. Radley 'folk dog' tote bag Brand new with tag. RRP £10 Comes sealed in cellophane. Ideal for tucking away into your handbag. Durable and strong , the design has a long strap to be held on your shoulder. Approx 14” x 16” A zipped inside pocket lightweight material Thank you for looking! New canvas shopping bag by Radley. 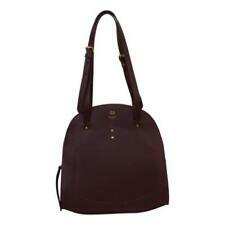 The bag is approx 34cm x 41cm, with over arm straps Smaller zipped pocket inside. New with tags Posted with proof of postage. RADLEY LONDON. blue dogs, "paper" aeroplanes & boats with pink lettering "Radley London" on one side. (Radley London in black lettering on other side). THICKER FEEL CREAM CANVAS with BLACK HANDLES. RADLEY LONDON. grey dogs, "paper" aeroplanes & boats with pink lettering "Radley London" on one side. (Radley London in pink lettering on other side). THICKER FEEL CREAM CANVAS with PALE PINK HANDLES. RADLEY LONDON. "Radley London" lettering in pink on other side. grey dog, "paper" aeroplane & boat with large pink lettering "ITS ALL PLANE SAILING" on one side. THICKER FEEL CREAM CANVAS with BEIGE HANDLES. Stylish and practical on-the-go bag featuring the Radley dog in a pretty stripe dog design. Will you accept a lower price for this item?. 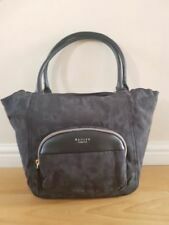 RADLEY SEYMOUR BEIGE GREY LEATHER HANDBAG SHOULDER TOTE BAG RRP £169 NEW!! !